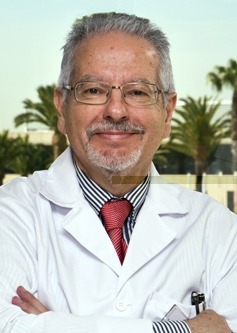 Dr. Bartolomé Oliver studied medicine at the Autonomous University of Barcelona. In 1977 he started his residency training in neurosurgery at the National Department of Neurosurgery in Madrid under the internationally renowned neurosurgeon Dr. Sixto Obrador. After finishing his formal residency training in neurosurgery in Madrid, Dr. Oliver joined a new Neurosurgical Department in Barcelona at the Hospital Sant Pau of the Autonomous University of Barcelona. During the early development of this department he took on the responsibility of incorporating new subspecialties following specialized training in Stockholm (Sweden), Montreal (Canada), and St Louis and Pittsburg (USA). Until April 2012 he was Chairman of the Department of Neurosurgery in the Hospital Universitari Mutua de Terrassa and Hospital Parc Tauli. During 32 years of practice, 60% of the doctor’s activity has been dedicated to spine surgery, principally to transforming the way surgery is performed and the development of present day Minimally Invasive Techniques and concepts of motion preservation. The rest of Dr. Oliver’s practice has been devoted to performing endoscopic and microsurgical procedures for complex skull base tumors, pituitary adenomas, microvascular decompression and epilepsy surgery, providing the development of an extraordinary expertise and skill in delicate and precise microsurgery that offers innovative techniques for the performance of neurosurgery and particularly spine surgery. In total Dr Oliver and his partner Neurosurgeon Dr Ayats have treated over 4000 patients. Presently Dr Oliver performs more than 250 complex lumbar spine cases a year (motion preservation & fusion procedures) and over 50 complex cervical spine surgeries including artificial disc replacement. Preferred implants include M6L, M6C, Nuvasive. The development of the lateral approach allows today the possibility of offering XLIF by this approach when the disc to fuse is above L5-S1….